Big Blue 400 Grit Bullet - Not for Coins! 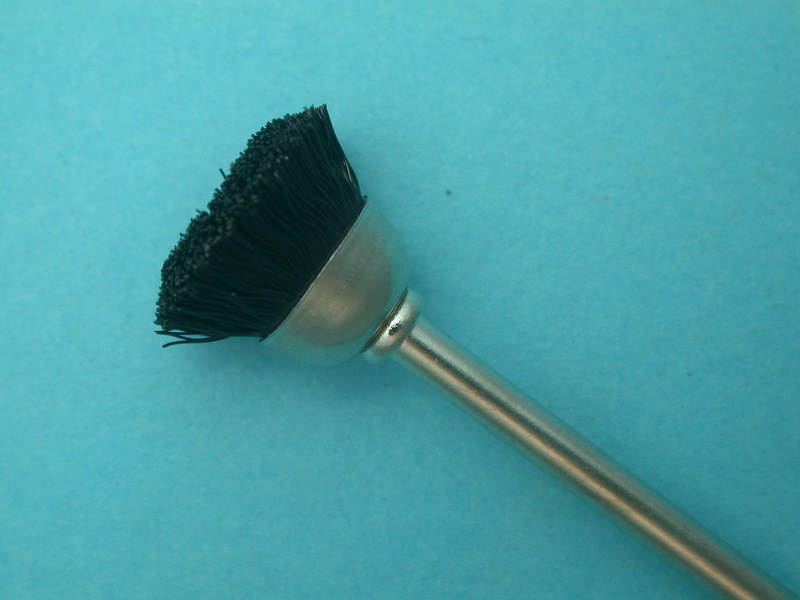 This 400 grit bullet tool is not for cleaning coins. But rather, for crusty artifacts. 400 grit is medium-harsh, but when used correctly as described below, it performs perfectly. Our second choice on rusty iron objects (after brass brushing) to smooth off the rust. Begin with our Big Green 240 grit bullet tool. As always, use this tool under running water. Once all the rust has been honed to your satisfaction, use a SBBB again to remove the residual dust. Let dry then wax and buff. 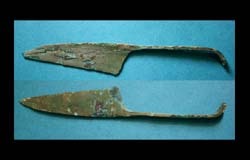 This tool also works great on large encrusted bronze artifacts, especially after electrolysis, to hone off any pitting. 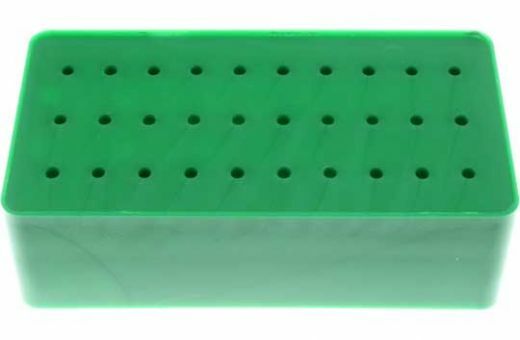 Begin with our Big Green 240 grit bullet tool. As always, use this tool under running water. Once all the broad areas on your artifact have been smoothed, you can then turn to our other smaller diamond-dusted tools to hone and smooth the smaller bits. 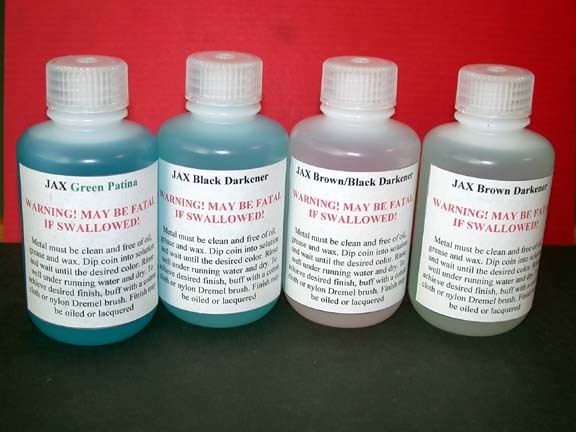 If needed, use JAX for repatination. Let dry, buff and wax. We suggest that you always begin with the Big Blue 400 grit bullet, then turn the 240 grit tool if needed.